Result : Bangladesh U-19 won by 3 wickets. Player of the Match : Mahmudul Hasan. 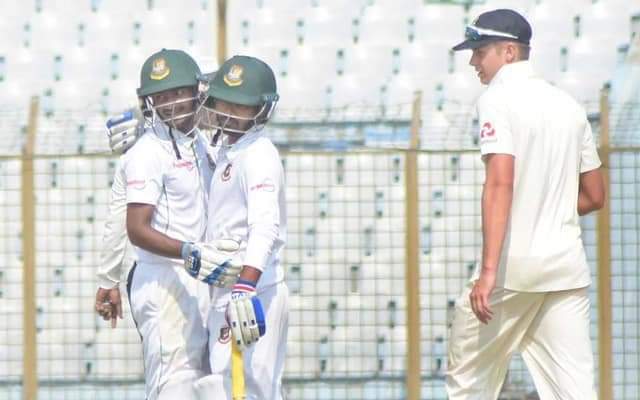 Bangladesh U-19 team have secured the two-match Youth Test series by 2-0 with a 3-wicket victory on the fourth and final day against England U-19. 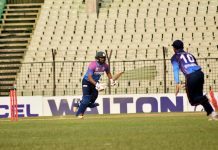 Earlier, Young Tigers also won the ODI and T20 series respectively by 3-0 and 1-0. Bangladesh needed 299 runs to win the match with 9 wickets in hand on the final day. 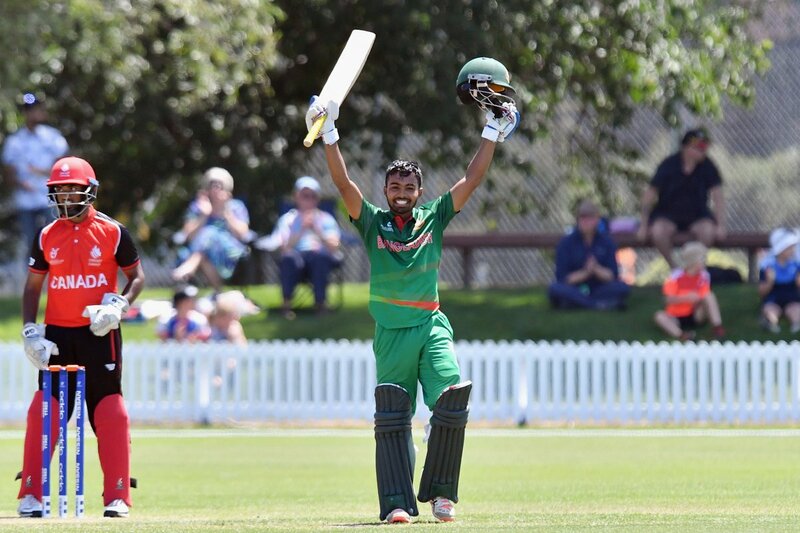 Mahumudul Hasan played an match-winning hundred of 114 followed by fifty in the first innings to guide his side to the victory. He was well supported by Towhid Hridoy who was dismissed after scorning valuable 76 runs. Together they added 142 runs in the fifth wicket stand. Despite their departure, Bangladesh won the match in 93.5 overs with 3 wickets remaining.